Heat gas or charcoal grill. In large bowl, combine ground beef, ketchup and sloppy Joe seasoning mix; mix gently. Shape mixture into 6 patties, 1/2 inch thick. When grill is heated, carefully oil grill rack. Place patties on gas grill over medium heat or on charcoal grill 4 to 6 inches from medium coals. Cover grill; cook 13 to 15 minutes or until meat thermometer inserted in center of patties reads 160°F., turning once. During last 1 to 2 minutes of cooking time, place cheese on patties; cook until melted. Serve patties in buns. Use slices of any mild cheese that you might have on hand. Cheddar, mozzarella, colby or Monterey Jack would all be delicious on these burgers. 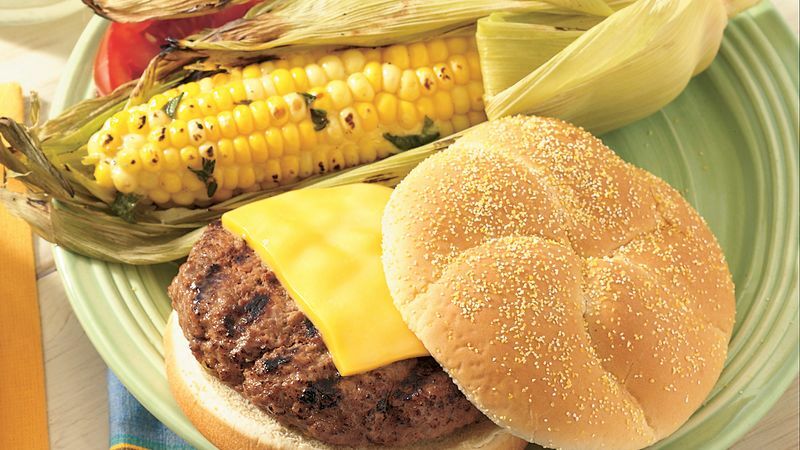 When burger patties are of uniform thickness, they will grill in the same amount of time. For uniform patties, use a patty-maker. Look for this inexpensive gadget at cookware stores.